The director of Bruce Clay India, Siddharth Lal visited the States last month to attend SMX Advanced in Seattle, and afterward, he traveled down the coast to our office in Southern California. I got a chance to interview the veteran SEO to gain some perspective on a market where SEO is considered by some practitioners and businesses as the implementation of spam and shortcut ranking methods. 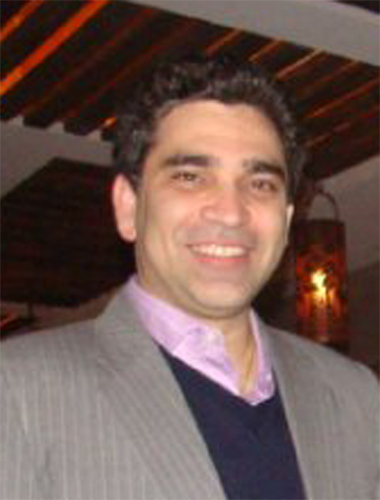 Sid has spoken at many educational SEO events in New Dehli in a movement to turn the tide from black to white hat SEO, and is a leading figure in the search industry — the perfect person from whom to find out more on the state of SEO in India. What is the biggest challenge you face as the director of Bruce Clay India? A lack of understanding in the market about the quality of work and level of work that is required. A lot of people are very surprised [and wonder] why do you need such high-level resources? Is it that complicated? People don’t really understand how much in-depth knowledge requirements there are. Both in Australia and the U.S., SEOs make as much as lawyers and in India that’s not the case. In India, a lot of people have seen SEOs as just web designers, and web designers [in India] are a dime a dozen. In the past year, however, perceptions are changing. People are starting to value SEO a lot more, and I think a lot of it has got to do with the Panda and Penguin updates and a lot of these other penalties. People’s sites are getting hit and their rankings are dropping off, and people are suddenly realizing they don’t want just a link building program. Initially they thought that was going to get them ranked, but now they’re just getting penalized. So for all these reasons, now they’re starting to realize SEO is not as simple as they thought it would be. Have Bruce Clay India’s clients ever been affected by Panda or Penguin? No. That’s the best thing — none of the sites that we look after were affected by Panda or Penguin. Our clients have consistently been chugging along and going up on the scale, and we’re happy about that. 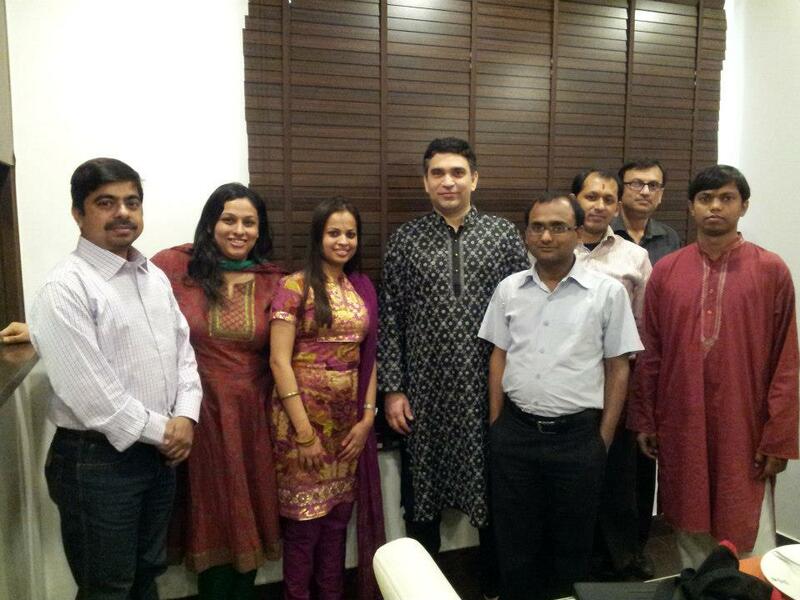 Siddharth Lal (fourth from left) and some of the Bruce Clay India staff. Who are some of your top clients in India? We looked after SEO and PPC for GOIBIBO, India’s third largest travel site. We were able to quadruple their traffic while working with them. We also oversee SEO for NEC, a billion dollar Japanese corporation; AtoS, the Olympic worldwide IT partner; and India Brand Equity Foundation (IBEF), which is a semi-government site representing India as a brand to the world. What was your biggest takeaway from SMX Advanced? Rich snippets — everyone in a lot of the sessions [at SMX Advanced] was talking about them — reviews, ratings, bread crumbs. Rich snippets was a very big takeaway. Author markups is another really big one. In both these cases, what’s happening is your search results are getting media rich. Therefore when you have, for example, ten text links out there, but yours is the one with yellow stars next to it or a picture next to it — it draws people’s attention. I’m not saying your ranking will go up, but your CTRs will definitely increase dramatically. Another one was Google+. Everyone’s talking about how they believe that Google is valuing Google+ a lot more, so it’s very important to have a Google+ profile. What is your experience with other SEOs in India? 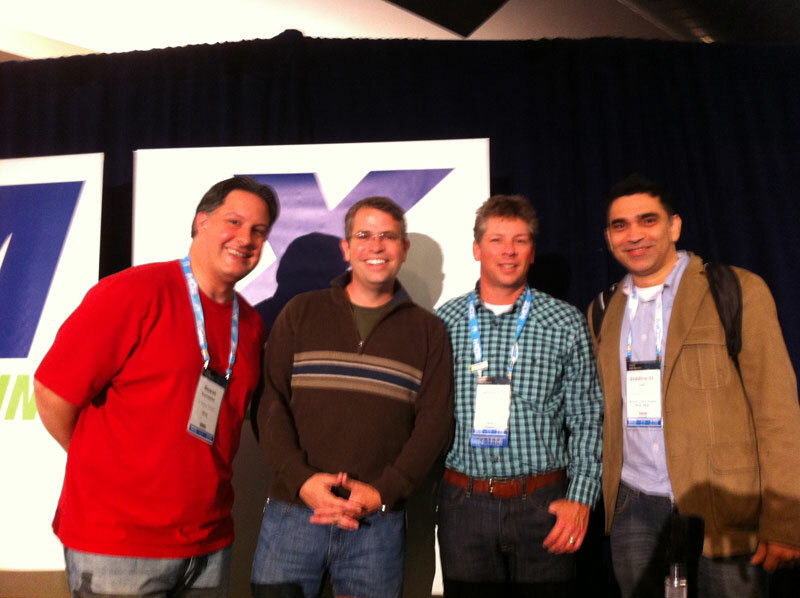 From right: Duane Forrester, Matt Cutts, Danny Sullivan and Siddharth Lal at at SMX conference. I interview people a lot for positions, etc. and talk to people a lot, and I find that the level of understanding of SEO itself is pretty bad. When I’m interviewing a lot of candidates for employment — and these are people who have been working for SEOs — a lot of times they don’t understand why they’re doing certain things; they’re just doing them rote. They sometimes don’t understand that they’re doing the wrong things, as well. And then there’s this classic case: I was working with one of our clients [before the first wave of Google updates]. So the client asked me why was there so little link building in my campaign. And I said “Look, we’re focusing on on-page issues, and we just have a couple of really high quality, high value links where we thought it was important to have them.” But the client was more focused on volume. He told me he used to run an SEO agency in the past, and he sent me a report of what he used to do for his clients. His agency would submit one article to 50 different sites, which is highly frowned upon. And this guy was the CEO of an SEO company and he didn’t understand that he was spamming — that gives you an idea of what the level of SEO knowledge can sometimes be. But again, post-Panda and Penguin, people are realizing that’s the wrong thing to do and they are updating their processes. I’ve seen major fall out, having spoken to people in terms of employment. People have said their entire agencies have closed down post-Panda and Penguin. I know of one agency that had a staff of 60 and they disbanded every one post-Panda and Penguin. What is your first priority when optimizing a site? Step one is always an audit, which tells us what are all the clients’ strong points and weak points … and that helps us deliver a road map of what we want to do ahead. A big issue is usually on-page factors. We make sure we are siloing the site, doing solid keyword research, creating proper tags, proper internal linking, site architecture — these are some of the top things we look at. 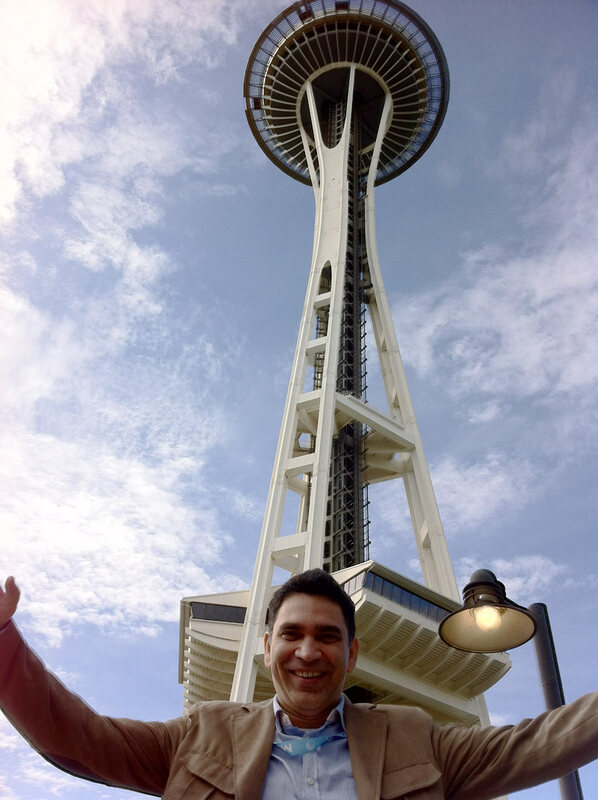 Siddharth Lal at the Space Needle in Seattle. I attend a Bruce Clay training in India once a year, and I also attend conferences like ad:tech, SES and SMX. I also read a lot. Currently, I’m reading Link Building by Eric Ward and The Art of SEO by Eric Enge, Stephan Spencer, Jessie Stricchiola and Rand Fishkin. When you’re not optimizing, what do you like to spend your time doing? I love playing racquet sports, like tennis or badminton, and of course, spending time with my wife, Pooja, and my 4-year-old daughter Simran, who’s very naughty and loves Barbies. Want to connect with Sid? Visit his blog, follow him on Twitter or link up with him on LinkedIn. I completely agree to what Mr. Siddharth has hinted. Level of Seo awareness in India is low and companies are still in the process of hiring inexperienced persons for link building campaigns. Seo has changed considerably after the Panda and Penguin updates and Black Hat marketers have lost their way completely. Now, Seo is a position that demands strong technical, creative and practical skills. One thing that I have noticed in many known Seo companies in India is the lack of proper training being imparted to their employees. The employees, especially the junior level ones simply do not know the very basics of seo and link building and the companies do not take pains in educating them. Still, India is the strongest and the most popular Seo outsourcing destination of the world, because of the presence of sharpest minds and dedicated individuals. Just a little perfection is required in order to make things perfect for the future of Seo in India. People often confuse web-design with SEO. While web-design is for the most part a single effort, SEO involves a continuous amount of work that needs to be done. I totally agree that the SEO awareness in India is very low. But, it is surely improving and evolving. In 2005 when I used to tell the clients that we do not focus on link building and ask them to delete the links.htm which was created by their previous SEO they always looked at me with an element of doubt and many used to move to other SEO companies who promised them links and directory submissions. But recently these clients have come back and are ready to accept the SEO deliverables which include social media, content creation and a special focus on the technical and on-page factors. Once this quality wave catches up with the business owners and accept the fact that SEO is less about bots and more about people the willingness to pay higher for SEO services will also be a reality. Woow! I am so amazed people in India there were so much talented, and most of the best SEO’s coming from India. Interesting article. I’ve worked for agencies where some work has been outsourced to agencies in India, under my guidance. Among both customers and the UK SEO industry, there’s a perception that if your website has received a penalty, you’ve probably employed an Indian linkbuilder. While in many cases this is true and some agencies do build links in bulk, I’ve also worked with some fantastic, enthusiastic and talented people who have delivered quality technical reviews and really want to learn more about how to do SEO safely. I do feel that what the UK needs a greater insight into both how important the SEO industry is for India, if/how it’s helping ordinary Indian people, and the fact that safe and trustworthy SEO agencies exist as well as the naff ones (which also exist here in the UK). Very interesting to read an article from an agency that evidently practices ethical SEO and I’ll be interested in further articles that reveal more about SEO in India.